It is inevitable that a great shot gets marred with camera shake. That’s why you should always take multiple shots of the same scene. But if you forgot this basic rule of photography, then Adobe Photoshop CC is here to lend a hand with its Camera Shake filter. The Camera Shake Reduction command is a special filter in Adobe Photoshop’s Filter gallery that can reduce the blurriness in any image. Blurred images can be caused by slow shutter speeds, long focal lengths, or unsteady hands. The filter uses intelligent extrapolation to detect the path of the blur and sharpen the image at those points. 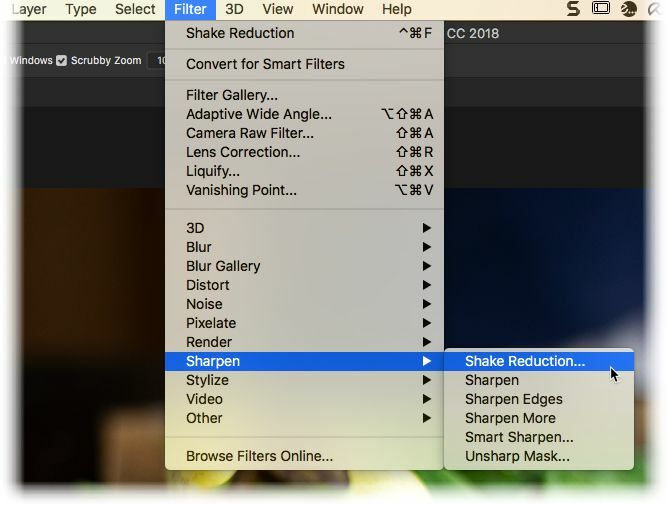 The filter’s interface also allows you to control the sharpening for different areas of the image and override Photoshop’s own auto-analysis. Open the blurred image in Adobe Photoshop. Go to Filter > Sharpen > Shake Reduction. 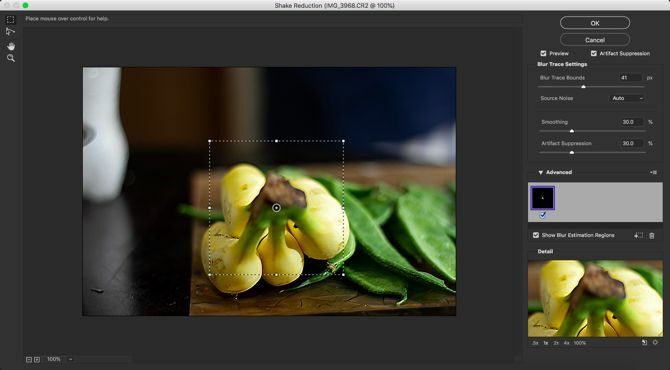 Photoshop automatically de-blurs the image and displays the preview in the Shake Reduction dialog box. The Shake Reduction dialog box gives you advanced controls to fine-tune the blue reduction as Photoshop’s automatic detection may introduce unwanted artifacts or ghosting in the image. Photoshop places a selection rectangle on a region where it things the pixels have moved the most. You can resize and re-position the box around the image to and create additional areas with the Blue Estimation tool for Photoshop to focus on. Each area selected helps Photoshop create “blue traces” and apply the filter. Use the advanced control sliders to control the blur correction. You can change the area used to trace the blur with the Blur Trace Bounds slider. You can also increase the Smoothness and Artifact Suppression by moving the sliders to the right. It is important to check the Preview and select Artifact Suppression as high settings will introduce blockiness in the image. The Adobe Support site has a detailed walkthrough on how to use the different Shake Reduction commands at your disposal. It can be a painstaking process, so do your best to take noise-free photos in the first place so you don’t need to fix them in Photoshop. Be the first to comment on "How to Fix Camera Shake in Photoshop Using a Simple Filter"
Gamers Strategy is a global, multi-platform media and entertainment company. Powered by its own proprietary technology, Gamers Strategy is the go-to source for tech, digital culture and entertainment content for its dedicated and influential audience around the globe.